Trial and error is the best way to confirm how much water is needed. Try cooking a small quantity and see whether result is satisfactory. Make appropriate corrections before arriving at the proportion that works best for you and your family. Please note that even for a particular millet, the preferred proportion might change on the source of the millet rice, especially the variety. So when starting a new packet of millets, play it safe and do a trial. once cooked, turn off the flame, sprinkle a hand full of water, close the lid tight and let sit for about 30 min. Please note that mixing or using a ladle in a just cooked, hot millet rice will tend to mash it and give it a mushy consistency. after a couple of minutes, turn off the flame; yes, the whistle does not need to blow.You will need to keep it on a low flame for a longer duration for Foxtail, Kodo and Proso millets. Little and Barnyard millets cook much quicker. put a cloth on top of the cooker (to reduce the rate at which it cools down) ! please make sure the flame has been turned off ! once the pressure has dissipated, open the cooker, sprinkle a fist full of water, close the lid tight and let sit for about 30 min. 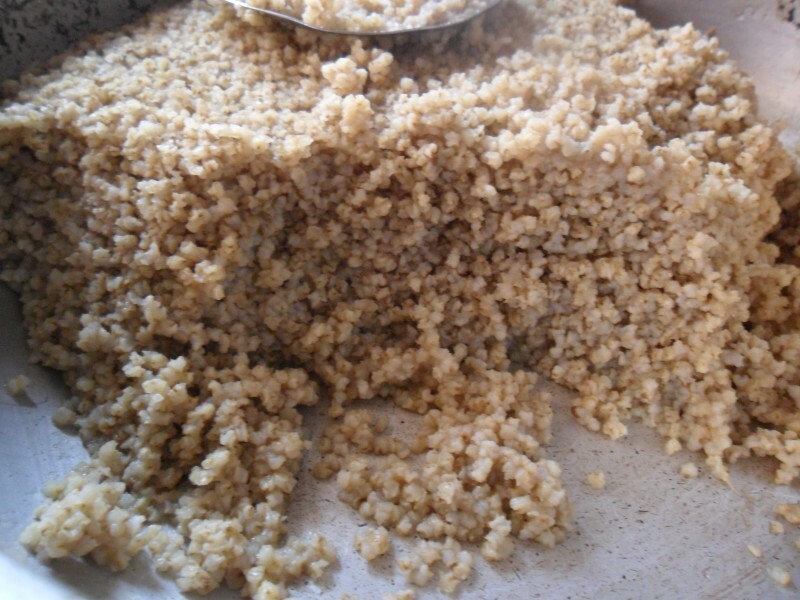 Unlike paddy rice, all millet rice absorb water even after they are cooked. So cook your millet rice say an hour in advance. The step mentioned above – to sprinkle a handful of water and letting it sit with the lid closed tight, helps quench at least part of its thirst giving the cooked rice a softer texture. Very happy to hear about your interest to take up millet cultivation. There are multiple organizations working in different places in AP on promoting millet cultivation. If you can write to us about where your farm is located we can refer you to a particular organization. Thank you!